Hardcover, 12.5 x 10.5 in. / 336 pgs / 300 color. The history of painting between 1848 and 1914 through one of the most beautiful collections of pictures in the world. Published for the twenty-fifth anniversary of the museum at the start of 2012, the volume presents 300 works in an order that is both chronological and thematic, thereby offering a comprehensive overview of the history of painting of the period, with the didactic intent of rendering it accessible to the widest possible public. Built up over time through purchases by the state, donations and bequests from artists, collectors, and patrons, and also thanks to an active acquisitions policy, the Musée d’Orsay’s collection of pictures today constitutes an exceptional holding represented by the greatest names and schools of painting between 1848 and 1914, such as symbolism (Moreau, Puvis de Chavannes, Redon), realism (Courbet, Fantin-Latour), the Barbizon school (Corot, Millet, Rousseau), impressionism (Caillebotte, Cézanne, Degas, Manet, Monet, Pissarro, Renoir, Sisley), post impressionism (Seurat, Gauguin, van Gogh, Toulouse-Lautrec), and the Nabis (Bonnard, Denis, Vuillard). 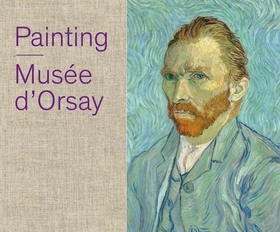 For its new hanging in the picture galleries, the Musée d’Orsay is highlighting its extraordinary masterpieces to offer the public an increasingly complete yet fresh survey of that fruitful and varied era, one of the most creative and abundant in the history of art. Stéphane Guégan is curator at the Musée d’Orsay and has published numerous works, notably on Ingres, Delacroix, Chassériau, Gauguin, and Turner. FORMAT: Hbk, 12.5 x 10.5 in. / 336 pgs / 300 color.